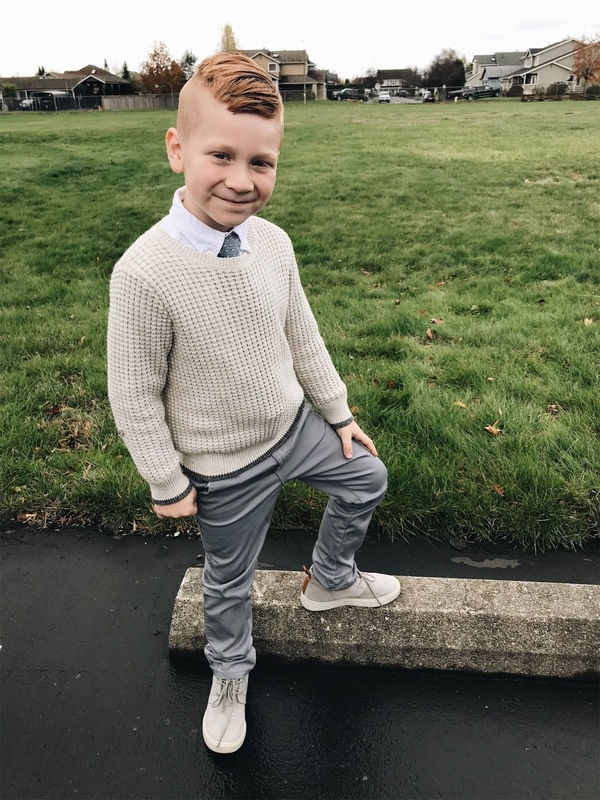 Dressing boys can be tricky if you are picky about your style. Personally I feel like girls have so many more options and "cute" things so dressing boys you have to kind of get creative. 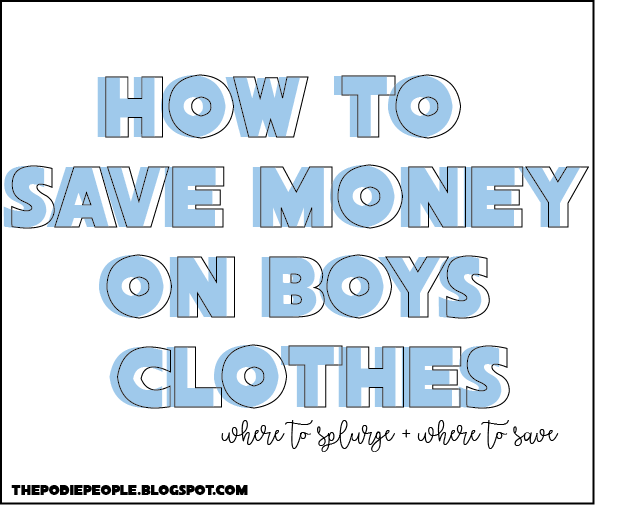 Most boy clothing is cheesy or ill fitting. Boys are slender too! Why are their jeans still cut like a box? beats me. Anyways, I want my boys to look cute but also be as comfortable as possible while they are playing. I also don't like to spend a fortune because they ruin everything playing and grow out of it like crazy. I know you feel me there. you can thrift these literally anywhere. I always buy used in the summer! Brands like Gap for shorts hold up really well and are always being donated. Target is really good about their styles now- you can find really affordable ones here. The more fashionable ones I always find at H&M with zippers or knee patches. I don't buy these thrifted I like my sweats new! They don't last long in our house and we replace them a lot. These are hard to thrift sometimes but I can always find these online at Gap and Old Navy. I always stick to tan, grey, white, blue, navy, black and stripes. We live in good basics! These are a great thrift option as well! I can always find a good soft broken in flannel at a consignment store. Target and Gap always have these but they hold up well and can be thrifted and I kind of like them worn in anyways. I always go cheap for basic tee's since they usually get stained, ruined or put under longsleeves. You can get these anywhere and sometimes I even go to Walmart! I usually don't buy t-shirts thrifted. I find they are over priced and I can get new shirts for the same price and better fit. I like to buy these new but you can find so many cute ones online. I like them over sized on my kids and always pass them down to Dash. Sometimes Krew even wears our beanies and they look so cute on him. Always check Amazon! I wish I had a girl to throw a pom pom beanie on. These are expensive. My favorite are from Gap or Zara but I have a thrifted one I got 6 years ago and Dash still wears it. It's so cute, fleece lined and is really warm. It matches everything. The best for summer nights or over the top a hoodie! Always buy these thrifted they are so over priced at retail value. There's really not a "bad" jean jacket out there. Cutest ones I've found are also at Gap. I got Krew 2 down north faces from a consignment store and they hold up so great. You can't even tell they were used and he always looks appropriately dressed for school and I know he stays warm. I will use these until they're torn up or lost! Target's always go on major clearance after winter so I buy for the next season there too. Easiest thing to throw on a kid! We collected so many over the years from sports, traveling, vacations, and gifts that I usually save these for special occasions. I love their Disneyland hoodies or one with cute graphics from Zara and H&M. one item I usually never buy used unless they are in perfect condition. My kids play hard and I like their shoes to hold up so I will usually buy name brand and pass down to the next kid. Plus My kids wear a lot of basics and affordable clothing so I always make their outfit look more put together and name brand by putting them in Nikes or Vans. Where are your favorite places to shop for kid's clothes? Are you more of a spender or a saver when it comes to your kid's clothes? Send me a DM (@daphnepodolak) of more ideas or comment below! I plan to update this whenever I find new favorites so I'll share this again when we get closer to Summer.